The name of the Society shall be the Research Society for Victorian Periodicals. It may be officially referred to by the initials RSVP. The purpose of this non-profit educational organization shall be the advancement of scholarship in and the promotion of research in Victorian periodicals. Any scholars in the field of Victorian periodicals research, regardless of discipline or nationality, may be admitted to membership by the payment of the annual dues and may be continued as members by the payment of the annual dues each year. The elected officers of the Society shall be a President, a Vice-President, each elected by a majority vote for a term of two years, that term to be renewable once by a majority vote, and a Secretary and a Treasurer, each elected by a majority vote for a two-year term every odd year. The terms for the latter two officers may be renewable. An Honorary President may also be elected by a majority vote of the membership present at the election time. The terms of the officers shall begin on the day following their election. The appointed officers shall be the Editor, Bibliographer, Membership Chair, Archivist, and Webmaster. Any of these two positions may be held jointly with each other or with an elected office. The appointed officers shall be selected by the Executive Committee at a meeting to be held at the time of an annual meeting. The term of office shall be two years, every even year. There shall be an Executive Committee composed of the officers and Directors of the Society. The Directors shall be elected by the society for a two year term, which is renewable. There shall be no fewer than eight nor more than sixteen Directors. The Executive Committee shall conduct the business of the Society between annual meetings. The Executive Committee may establish standing committees; the President may establish other committees. Members of the committees shall be appointed by the President. There shall be a Senior Advisory Council composed of former officers and directors of the Society. Members of the Senior Advisory Council shall be appointed by the President with the approval of the Executive Committee at a regularly held meeting. The Senior Advisory Council shall advise the officers and directors of the Society on general policy and such specific matters as are referred to them by the President. Members of the Senior Advisory Council shall receive notices of meetings of the Executive Committee and may attend those meetings with voice but not vote. The term of office shall be two years, renewable. The Society shall hold an annual meeting as such a place as the Executive Committee shall determine. The annual meeting shall have final authority to conduct the business of the Society, but it may refer any questions except elections to a mail ballot of the membership. An annual meeting may be canceled for emergency reasons by vote of the Executive Committee. In case an annual meeting is canceled or the election of new officers is delayed, the officers shall continue in office until new elections can be held. The Society shall be dissolved by a two-thirds vote of the membership in good standing after the matter has been moved and discussed in two consecutive annual meetings. Upon dissolution, the Executive Committee shall pay all of the liabilities of the Society and dispose of any remaining funds exclusively for the purposes of the Society. Amendments to this Constitution must be approved by a majority vote of the members present at the annual meeting or, if the annual meeting so directs, by a majority vote to those responding to a mail ballot of the membership. Notice of the proposed amendment must be given at least thirty days prior to the annual meeting either by publication in VPR or by mailed notice to the membership. 1. Voting Membership. Active members shall pay the annual dues and will receive the official organ of the Society, the Victorian Periodicals Review (CUR). The amount of the annual dues shall be determined by the Executive Committee as shall the subscription price(s) to VPR. All individual members present at the annual meeting may vote on such issues as arise. 2. Honorary Membership. Honorary members of the Society may be extended at the annual Business Meeting upon the recommendation of the Executive Committee. A majority vote of the members present at the annual meeting is required to extend honorary membership. 1. No part of the net earnings of the Corporation shall inure to the benefit of any director of the Corporation, office of the Corporation, or any private individual (except that reasonable compensation may be paid for services rendered to or for the Corporation affecting one or more of its purposes) ; and no director, officer or any private individual shall be entitled to share in the distribution of any of the corporate assets on dissolution of the Corporation. No substantial part of the activities of the Corporation shall be the carrying on of propaganda, or otherwise attempting to influence legislation, and the Corporation shall not participate in, or intervene in (including the publication or distribution of statements) any political campaign on behalf of any candidate for public office. 2. The corporation shall not conduct or carry on any activities not permitted to be conducted or carried on by an organization exempt from taxation under Section 501(c)(3) of the Internal Revenue Code and its Regulations as they now exist or as they may hereafter be amended, or by an organization, contributions to which are deductible under 170 (c) (2) of the Internal Revenue Code and Regulations as they now exist or as they may hereafter be amended. 3. Upon dissolution of the Corporation or the winding up of its affairs, the assets of the Corporation shall be distributed exclusively to charitable organizations which would then qualify under the provisions of Section 501(c)(3) of the Internal Revenue Code and its Regulations as they now exist or as they may be hereafter amended. 4. The Corporation is organized pursuant to the Texas Nonprofit Corporation Act and does not contemplate pecuniary gain or profit and is organized for nonprofit purposes which are consistent with the provisions of Section 501(c) (3) of the Internal Revenue Code and its Regulations as they now exist or as they may be hereafter amended. 1. The nominating committee shall consist of four members, including the retiring president; and shall be appointed by the retiring president. The retiring president shall chair the committee without a vote. The nominating committee shall also. recommend to the Executive Committee nominees for Editor and Bibliographer. 2. When the terms of the elected officers and Directors expire, the nominating committee shall present a slate before the membership at the annual meeting. The slate shall be presented for election at the Business Meeting. The officers of Editor and Bibliographer shall be presented at the same annual meeting to the Executive Committee. A majority vote of the Executive Committee present shall be needed to choose the Editor and Bibliographer. 3. Additional nominations may be made from the floor at the Business meeting in the form of a petition signed by ten members in good standing. 1. The President. The President shall be responsible with the Executive Committee for the administration of the Society. The President shall chair the Executive Committee and shall be responsible for the general sessions at the annual meeting. The President shall also appoint members of the Society on a temporary basis to task forces or sub-committees intended to accomplish specific purposes, such as prize committees and conference committees. 2. The Vice-President. The Vice President shall establish the conference program committee and shall chair the annual prize committees. He or she shall undertake and assist with the duties of the President as necessary. 3. The Secretary. The Secretary shall take minutes at the annual meeting and distribute them. This duty shall be the responsibility of the old Secretary for the annual meeting during an election year. He/she shall mail to non-members attending annual meetings membership notices. He/she shall maintain a list of current membership. 4. The Treasurer. The Treasurer shall manage the collection and disbursement of funds as directed by the Executive Committee. He/she shall make an annual report on the membership and finances of the Society and distribute an annual audit at the annual meeting. 5. The Editor. The Editor shall insure the publication and distribution of VPR. 6. 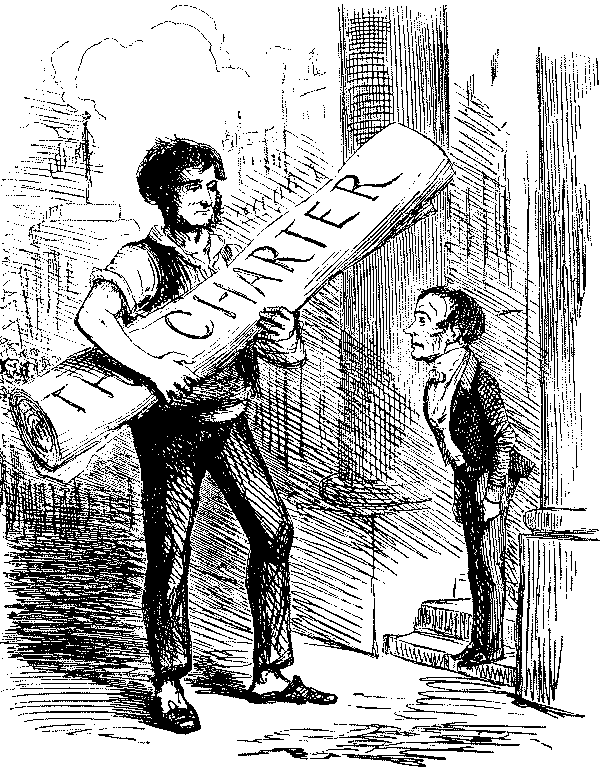 The Bibliographer. 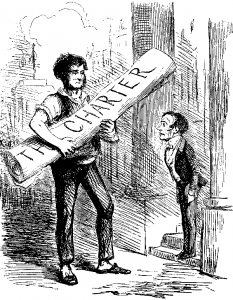 The Bibliographer shall be responsible for the annual bibliography of scholarship and criticism dealing with Victorian periodicals that is to be published annually in VPR. 7. The Membership Chair. The Membership Chair, shall, at the discretion of the Executive Committee, mail to non-members attending annual meetings membership notices. He/she shall maintain a list of current membership. 8. The Webmaster. The Webmaster shall maintain the Internet presence of the Society, to include the web site and any electronic discussion forums and email listservs developed by the Society. 9. The Archivist. The Archivist shall oversee the physical and electronic records and ephemera of the Society, and shall secure such records in an appropriate place reasonably accessible to the membership. 10. The Executive Committee. The Executive Committee shall administer the affairs of the Society and supervise the editorial policy of the official organ of the Society. The Executive Committee shall fill any vacancies that occur among the elected and appointed officers. A majority, including at least two officers, shall constitute a quorum of the Executive Committee. Each elected and appointed member of the Executive Committee shall exercise one vote in meetings of the Execuitve Committee, without regard to how many offices are held by an individual. 1. A Program Chairperson appointed by the President shall be in charge of the annual meeting. He/she shall arrange the time of the annual program, with approval of the President, and select the speakers. 2. The Program Chairperson shall make available at the annual meeting membership applications and distribute to the Secretary and Treasurer a list of the conference attendees. 1. A Local Arrangements Chairperson appointed by the President shall be in charge of making the local arrangements for the annual meeting. 2. The same person may be appointed as both the Program Chairperson and the Local Arrangements Chairperson. 1. At the annual meeting a business session shall be convened for the review of acts of the Executive Committee and for the transaction of other business that may be properly presented. 2. Voting shall be in accordance with Section I of the Bylaws, each person holding a voting membership having one vote. The Executive Committee may designate regional centers and meetings. The Executive Committee may propose amendments to the Bylaws to be ratified by majority vote of the members present at the annual Business Meeting. Other proposed amendments may be made by the membership at large in the form of a petition signed by twenty members and submitted to the Executive Committee for consideration at the annual Business Meeting. To be ratified a majority vote of the members present at the meeting is needed.